When I gave birth to my daughter, I made it a habit to read a book to her whenever I want to make her settle down. My voice as I did rhythmic reading then soothed and calmed her. When she was about six months old, I started her on Dr. Seuss books. Being read to gave her so much pleasure that she has continued on this habit of reading even now that she is well into her tweens. Before, well even up to now, my daughter and I used to hoard books at second hand bookstores to satisfy our thirst for reading. We would spend long hours at bookstores poring over titles of books. But now with the advent of the internet, everything becomes easy. We can just literally crawl to amazon.com and purchase ebooks there. Recently I reviewed two children books from Brainy Connections which are perfect for pre-schoolers and primary kids. I suddenly miss teaching little kids as these books are perfect as springboards for lessons about sea creatures, friendship, and good behavior. 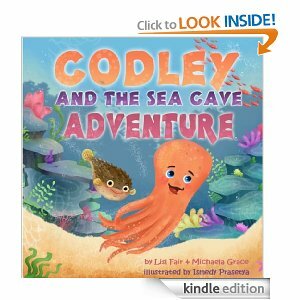 Children can easily identify with Codley the Octopus and his friend Pokie the Pufferfish’s thirst for adventure especially an under the sea one at that. The plot is full of thrills and suspense that will surely sustain children’s interest till the end. The accompanying illustrations leave a lot to children’s imagination. What I like most about the book is that it not just any adventure book, it teaches children about the true meaning of friendship which is all about helping your friend in need and never leaving them behind in the context where they can understand it better, that is through an adventure story. The plot is something that little girls can easily relate to. I also like that they put a grandfather in the story as this adds an extra soft touch. It reminds me of my dad and daughter’s special bond. It explains why we must always listen to cautions especially if they’re well meaning ones. Both stories were written by Lisl Fair, an author of numerous magazine articles dealing with a variety of parenting subjects. She is involved in the development of educational children books and the Brain Based Learning and Development so she clearly knows what she needs to put and write in her books that will help children in their development. These books are available at Brainy Connections. If you do not have a Kindle or a Kindle application to open the book, Kindle application for PC is absolutely free to download here, CLICK. 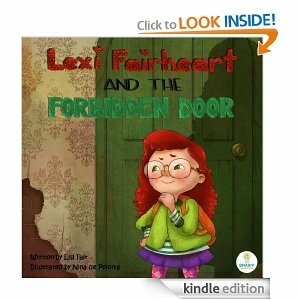 I personally think that these ebooks are great both for children and parents. With a good story we can teach our child to be a good boy / girl with a fun way.